You have added Fun and Fanciful Lace Dress in Mint Sage into shopping cart. This A-line lace dress has a fun and whimsical floral pattern on it. This would make a cute bridesmaid dress! The Fun and Fanciful Lace Dress has wide shoulder straps, an empire waist, and an A-line cut. An included slip with spaghetti straps comes with this dress so that it is fully lined. An exposed back zipper completes this look. The Fun and Fanciful Lace Dress can be dressed up or down. It looks perfect paired with beige wedges or pumps. Details: Slip included with dress. Exposed back zipper. 100% polyester. Lining: 100% polyester. Dry clean only. Small measurements: Length from top of shoulder to hemline: 31.5". Bust: 32". 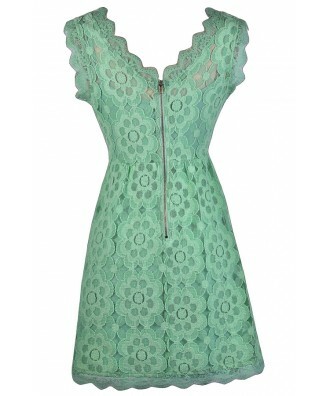 You have added Fun and Fanciful Lace Dress in Mint Sage into Wishlist. 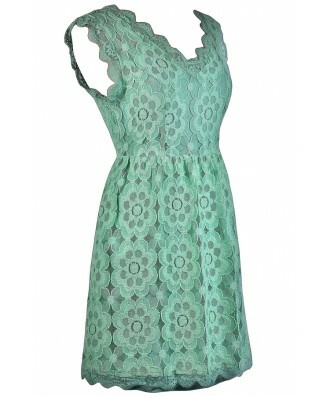 You have added Fun and Fanciful Lace Dress in Mint Sage for Stock Notification. 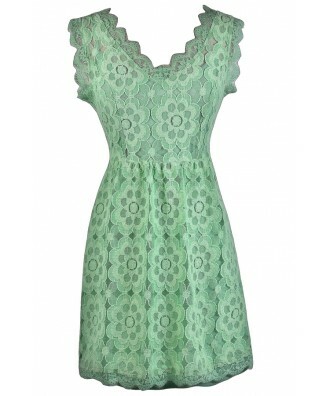 You have set Fun and Fanciful Lace Dress in Mint Sage as a loved product. You have removed Fun and Fanciful Lace Dress in Mint Sage as a loved product.